Trying to stay compliant with the many Federal and State tax forms can be a hazy, worrisome experience for business owners. At Albanese Sinchar Smith & Co., we replace worry with the solid assurance that your business is on the right path, allowing you to focus your energy where it belongs ‐ on running your business! Corporations and LLCs that miss important deadlines, or fail to file the proper forms, run the risk of losing good standing, receiving painful penalties and fines, or having to pay reinstatement fees. Even sole proprietorships can face hardships when essential tax compliance paperwork goes undone. The associates at Albanese Sinchar Smith & Co. have the expertise to keep you compliant with all state and federal tax regulations. We know exactly what forms and taxes must be filed for your specific business in your unique situation. With continual training and our remarkable depth of expertise, we remain on the lookout for changes in the tax law and code that can affect your business. 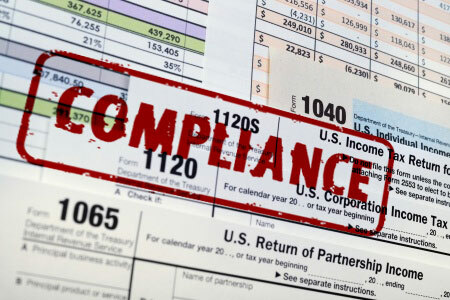 Call Albanese Sinchar Smith & Co. today at 724.863.4261 or fill out our contact form to discover how important staying compliant with today’s tax regulations can be.